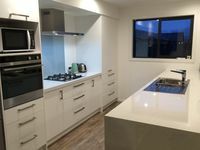 Properties in Tarras average 4.6 out of 5 stars. Property 9: Awesome house, great location! Sunny & Stylish | idyllic Log Fire, Gardens & Mountain Views! Property 17: Sunny & Stylish | idyllic Log Fire, Gardens & Mountain Views! Privacy and charm | Indoor-outdoor living at it's best | No stairs! Property 31: Privacy and charm | Indoor-outdoor living at it's best | No stairs! Property 35: Warm, sunny, mountain views, short stroll to the lake and hotel restaurant bar. Stoneige Beautiful Lake Hawea House. 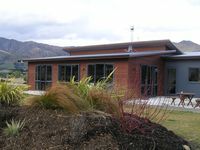 Property 47: Stoneige Beautiful Lake Hawea House.